Are your kids excited for the holidays? You can print out this December calendar which they can decorate and mark the days of the special celebrations for your family. If you have young children in your home, it's wise to check if your window cords could present a problem. Tragically over 200 infants and young children have died since 1990 from strangling with window cords according to the U.S. Consumer Product Safety Commission. You can prevent a strangling tragedy by retrofitting your blind cords to make them safe. Free retrofit kits are available from the Window Covering Safety Council. There are instructions with each kit plus videos demonstrating how to do the installation. A mom of a first grader spoke to me today about how she can provide positive parenting support to other parents at her daughter's school. She's learned a number of positive ways to respond to her daughter's behavior through the Priceless Parenting online classes. She loves the fact that she can continue to get support in her parenting through ideas in the monthly newsletter and on the web site. After observing various parent/kid interactions, she is passionate about sharing what she's learned with others who might appreciate it. She called me for ideas about how to approach the school. One of the best ways is probably to join the school's PTA group which she has recently done. Generally the PTA group is the school organization that provides parent education opportunities. Like many PTA groups, her school's PTA seems focused on fund raising and academic support of students but not on supporting parents in their parenting. Send a parenting article home with all students each month. Provide free printouts of charts for kids that parents can pick up in the school office. Set up a parenting support group for parents who want to take an online parenting class and discuss each lesson. Provide a parenting presentation sponsored by the PTA so parents could attend for free. Ideally the PTA will also provide free child care so all parents can easily attend. Has your school done something to support parents that has worked really well? I'd love to know about it. If you want help in bringing parenting education and support to your school, feel free to call me at 425-770-1629 or email me. Many parents, unfortunately, seem to think that their children can handle M-rated video games. Nothing can be further from reality. Yet, so many moms and dads are looking the other way, while children as young as six years old, look at inappropriate content such as murder, torture, and prostitution for up to six hours a day. In a new survey, 50% of parents weren’t keeping tabs on the video games their kids played. This is such a tragic situation. Have you seen the psychopathic and sadistic images in popular video games? Even in this age of “information” when supposedly we know so much more about child and teen brain development, parents don’t fully understand the relationship between their kids’ exposure to media violence and its impact on healthy emotional and social development. I started the Parent Coaching Institute and the Parent Coach Certification® Training Program so that family support professionals would have a specific coaching system for helping parents make daily choices in alignment with their child’s brain development. I call it Brain-Compatible Parenting™. It’s a passion of mine to translate all the knowledge we now have about what makes smart, emotionally stable, and compassionate brains into parental actions. This has been a two-decade uphill battle, even though it’s not rocket science. 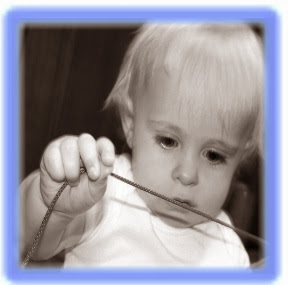 Although laying down neural pathways is a complex process, it’s the simple things parents do that activates this complex process and makes mature brains possible. Simple things, like making sure kids get enough physical exercise, proper nutrition, and solid sleep that add up to big differences over time. And one thing is for sure in our media world, when parents monitor screen content, young brains have the best chances of growing optimally. If we leave them free as birds with their devices, they will fly so far away from our values we may not recognize them as adults. I recently updated my book, co-authored with Lt. 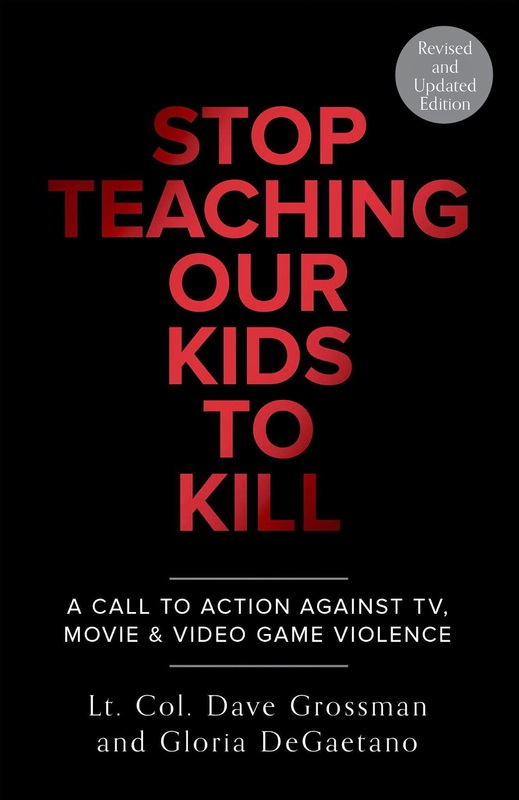 Cold Dave Grossman, Stop Teaching Our Kids to Kill: A Call to Action Against TV, Movie, and Video Game Violence (Harmony/Random House, 2014). The title is a bit misleading. The book is more about the risk factors of all kids when exposed to an on-going diet of media violence and what we can do about it in our homes, schools, and communities. And while only a fraction of kids will act out the murders they have rehearsed for countless hours while playing video games, most kids will be affected by media violence in becoming more aggressive, fearful, or more desensitized to harming others. If a stranger lived in our homes teaching our kids how to fire headshots with precision, or if we encountered a teacher in the school training kids to communicate with others so they would want to harm themselves, of course, most parents wouldn’t allow it. They would put a stop to it at once. But with media violence, it’s a different story. We urgently need to change that story—now—by letting parents know about the serious side effects of media violence. If you understand the brain science and if you know a parent who needs to connect the dots between their youngsters’ exposure to violent video games and their young brains’ inability to handle, filter, understand and resist the emotional havoc that these images induce, please, please discuss this with that mom or dad. Explain the vulnerabilities of young brains and why video games of violence and prostitution are not appropriate entertainment for children or teens. There is a reason these games are marked M. And there are so many non-violent, age-appropriate games, apps out there now. Please talk with a parent about this today. Copyright, Gloria DeGaetano. 2014. Used with permission. 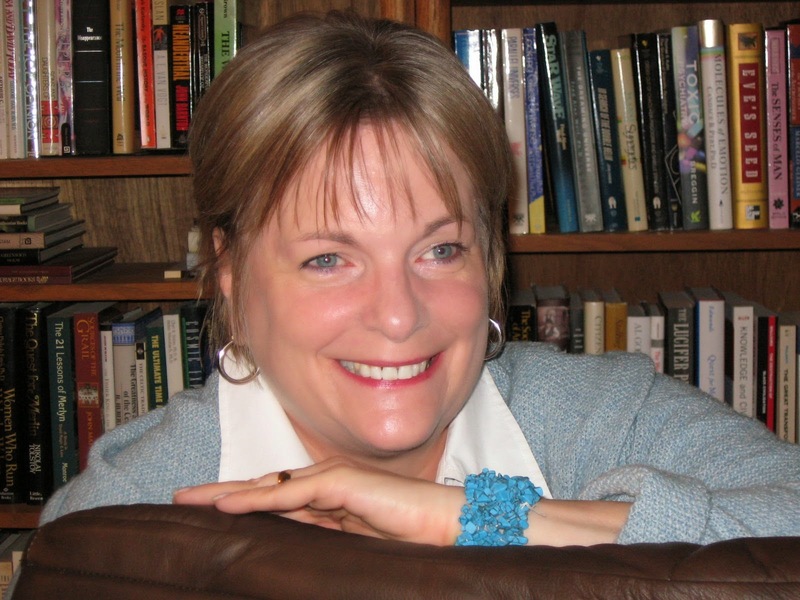 Gloria DeGaetano, founder of the Parent Coaching Institute, has been a media literacy educator since 1987. She is the author of several books, including Parenting Well in a Media Age: Keeping Our Kids Human (Personhood Press, 2005) and the recently released (with Lt. Col. Dave Grossman), Stop Teaching Our Kids to Kill: A Call to Action Against TV, Movie, and Video Game Violence (Harmony Books/Random House), 2014. 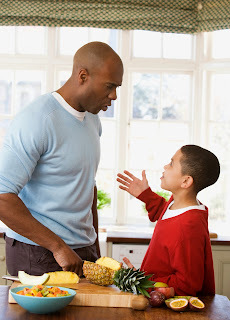 Has your child ever accusingly said, "But you promised!"? Did you break a promise or did your child misinterpret a statement as a promise when no promise was intended? Being intentional about what is a promise and what is not can be helpful in avoiding misunderstandings. 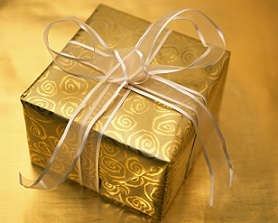 Once you make a promise, it is important to follow through with whatever you promised. People remember broken promises for years, especially if it was an emotional event. Often remembering the situation even triggers some of those original emotions. One 50-year-old woman recalled being at a pool and being afraid of going down the slide. Her dad was in the water and promised her that he would catch her. However, when she came sliding down, he didn't catch her. 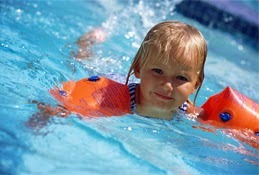 She popped right up after being under water and reasoned that her dad just wanted her to learn that she could do it. Years later, she clearly remembers that broken promise and her feelings of being deceived. I remember as a teen being promised by my friend's aunt to be driven up to a lake cabin where my friend was spending a couple weeks in the summer. The aunt cancelled the trip the day before we were supposed to leave; I was crushed. What do you do when you’ve broken a promise to your child and now your child is upset? Rick explained that he had promised his 12-year-old son that he would play a game of cribbage with him that night. However, time slipped by and it was time for bed before they got to play the game. Watch this video for the latest ideas on how exposure to violence affects a child's developing brain. Do you find yourself worn down from your kids asking for a little more? It might be a little more time to play video games, more time before going to bed or more dessert. 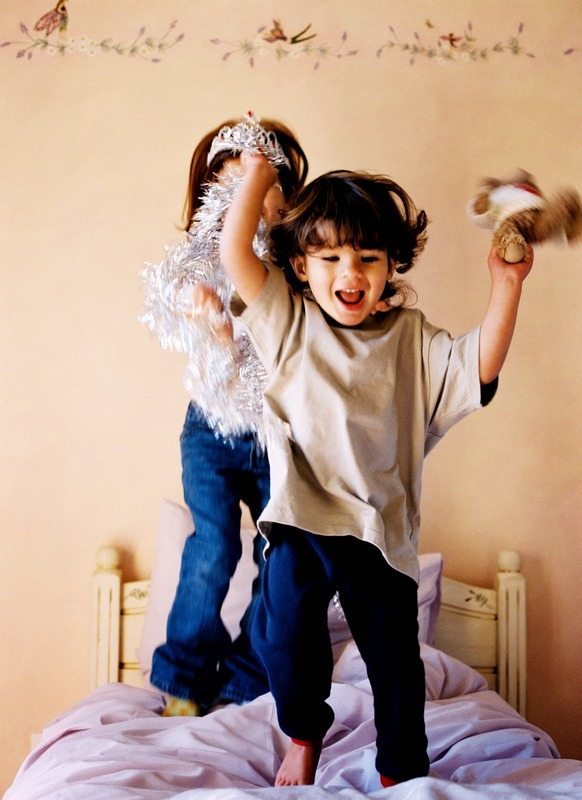 Kids have plenty of energy and motivation when it comes to negotiating for something they want! Sometimes it is appropriate to negotiate with your kids. They may have new ideas or information to consider in your decision. However, when you are negotiating on things that come up over and over again, it’s time for a rule. You may want to give your kids input on the rule. Once the rule is established though, the rule is enforced without further discussion. For example, one couple set the rule for their kids that video games playing was a maximum of 60 minutes a day. Video games could only be played after dinner. They stuck firmly to this policy and their kids learned that was the rule and there was no use trying to negotiate! Transitioning from the laid-back, flexible summer schedule to the intense school schedule can be tough for both you and your kids. Whereas summer days have few deadlines, school has daily deadlines from getting to school on time to turning homework in. No wonder it’s a difficult change to make! Even if you or your kids are looking forward to fall and school starting, the ending of summer can bring up feelings like sadness, grief and anxiety. All transitions involve an ending. It’s hard to have something you enjoy come to an end. You may still wish to hold onto the summer even as it slips away. The first day of school is a stark reminder that transition is here, like it or not! How can you plan ahead to make the transition as smooth as possible for both you and your kids? One place to start is to look at your morning routine. What does your ideal school morning look like? What drives you crazy in the morning? Do any of these things stress you out? Screaming at your kids to get out of bed? Seeing wet towels left on the floor? Rushing around in a desperate attempt to find library books that are due? Arguing over appropriate clothes to wear to school? Scrambling to complete school forms that are due? Nagging your kids to brush their teeth? Reminding your kids for the umpteenth time to hurry up so they aren’t late? Would you like to have more fun and less stress with your kids? Even when you know how you'd ideally like your family to operate, it can be challenging to make those intentions a reality. You don't want to yell at your kids, yet you find yourself yelling. You want your kids to treat you with respect, yet you struggle with this. You want to be on the same parenting page as your spouse and yet you have very different approaches with the kids. Raising kids is not easy. In these classes we'll explore ideas that can save your sanity and pave a path to a joyful family life. You'll have time to ask questions about specific challenges you are facing. Space is limited. Register today through EvergreenHealth.com/classes. Parenting young children can be exhausting! Discover how to set limits on inappropriate behavior, respond to tantrums and whining, recognize developmentally appropriate behavior, encourage cooperation and enjoy more fun together. Discover how to parent your kids now in ways that typically produce fantastic teens instead of rebellious, self-destructive teens. Find out how to set reasonable, valuable consequences for your children's misbehavior, guide your kids to resolving their own conflicts, avoid power struggles and have more fun with your kids! Develop a parenting approach that matches your teen's growing independence. Discover how to move from confrontation to cooperation, set limits on inappropriate behavior, guide your teens to making healthy decisions and prepare them to successfully launch as young adults. You can learn from the comfort of your own home by taking an online parenting class for Ages 5 and Under, 6 to 12 or 13 to 18. Start today! Please join me for the class that best fits your family. If you have any questions, feel free to call me at 425-770-1629. P.S. If you know someone who might enjoy taking these classes, please do me a favor and send them a link to this page.